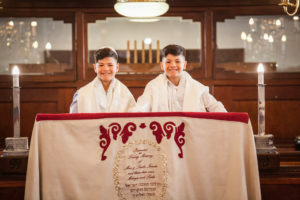 maraisroadshul | Double trouble= intense joy! ‍‍22 Kislev 5779 - November 30, 2018 /in Rabbi Blog /by Kerry M.
No, you’re not seeing double, and this is not a repeat of last week’s email. But yes, it is a truly double simcha for Sam and Justin Cohen, who are celebrating their joint Barmy this Shabbas. Mazel tov, mazel tov! 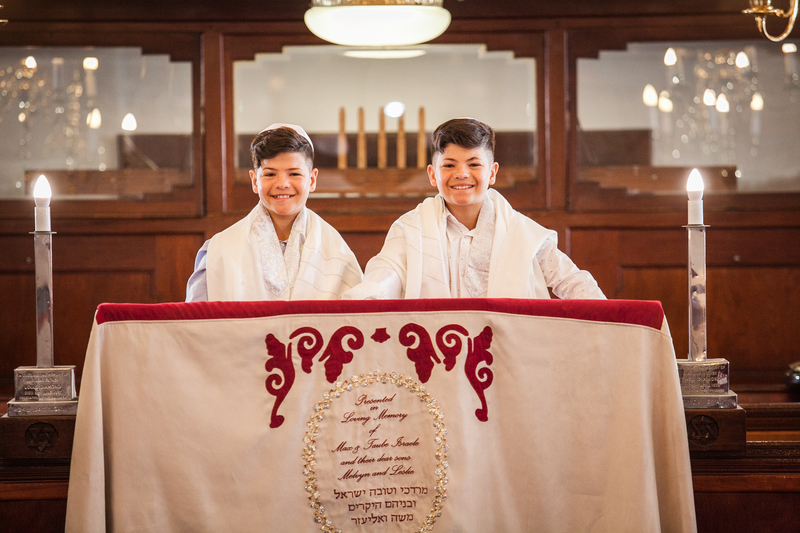 Mazel tov to Gavin Cohen and Ady Cohen on celebrating Justin and Sam’s Bar Mitzvah, and to their grandparents Benjy & Michelle Lapiner, of PE. I think with souls, 1 plus 1 doesn’t simply double the experience but creates a much greater force than the sum of their parts. So, here’s to intense simcha, beyond double, and a truly great measure of nachas from these two sterling young men. Mazel tov! Sunday night is Chanukah! This happy chag is simple to observe and this year coincides with school, not the usual school-holidays time. This means that you’re home and able- and must!- light your chanukiah, spreading light and joy as you perform this beautiful mitzvah. Click here to get your free menorah set, or pull yours out of storage. Either way, get set to light it for 8 days, starting this Sunday night. Next Friday Night, the community is invited to a pre-shul Chanukah party! With balloons filling the space (all environmentally friendly- ty Kerry!) we will light a giant balloon menorahand have a great time of fun activities, music and Chanukah food! See the Shmooze for details and bring the gantze mishpocho! VERY IMPORTANT. Ok, now that I got your attention…Uria Sela has been with us and at yeshiva of CT for over a year, giving his everything to our youth, learning with adults and connecting with our community in a special way. On Yom Kippur, I spoke about the meaning of gratitude and we would like to show our gratitude to Uria for his unique commitment to our community. Next Friday’s Pre-Shul event is also a time we will be expressing our gratitude to Uria and I encourage you to attend, and bring your kids if relevant, to show thanks to this special young man from Israel. TODA RABA! Last night I had the pleasure of delivering a (short) Dvar Torah at the Emunah quiz night. It was a most impressive event and I was proud to see how our Shul members were at the forefront of making it happen. Shkayach! Condolences to Helen Traub on the passing of her husband, Morris, and to their children Dr. Phillip, Leonard, Sandra & Gillian on the loss of their father. May Hashem grant you strength and comfort. Click here for full info on Chanukah.